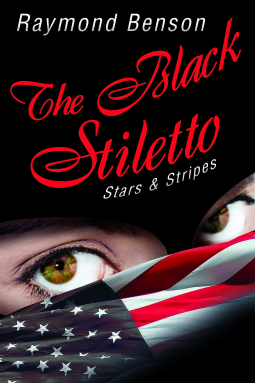 Review of The Black Stiletto: Stars And Stripes. – Sue's Reviews. It was only after I had requested this book from netgalley that I realised it was part of a series. I was worried that I would not be able to follow the plot and that the story would make no sense to me. The Black Stiletto series is about Martin Cooper and how he deals with the revelation his mother was the Black Stiletto – a female vigilante in the 1950’s/1960’s. This installment sees Martin wrestle with his conscience as he debates whether to tell his girlfriend Maggie about his mother’s secret identity. The story is exciting, the characters realistic – although I am not entirely sure Judy as the Black Stiletto is all that convincing, but if you suspend your disbelief you can enjoy the tales. My biggest regret in regards to this book is that I have yet to read the first and second installment; again, it is easy enough to read this book without getting too lost, should you not have read the first two. However, there are characters in this book that felt quite secondary to me, but I knew little about them having not read the earlier books. I would highly recommend reading the first two books and then moving onto this one. The series seems gripping and quite the page turner. Definitely worth your time. Next Post Review of the Trouble With Charlie.